Paddy Power Asian Handicap Betting offers some of the best odds and simplest ways to wager on football matches. With Asian Handicap betting, games with seemingly obvious outcomes are made more interesting for punters by applying handicaps to one or both teams playing in any given match. What is the selection of Asian Handicap bets at Paddy Power? One of the leading online bookmakers in the UK, Paddy Power’s range of Asian Handicap bets are more extensive than most. For most pundits, the UK Premier League is their first stop for the most popular odds, with relatively even rates of return on most match fixtures. Generally speaking, the best-ranking premiership teams score fewer than 2,5 goals per match, so betting on lower handicaps ensures a safer bet and a higher chance of a prize payout. Although the profit yield is smaller than other types of better, Asian Handicaps are a reliable way of accruing regular wins over entire league schedules. Although most handicap odds create a more evenly matched game of football to bet on, most odds effectively reduce the game to a 50/50 outcome. For players looking to earn more from Asian Handicap betting, turning their attention and wagers to European and semi-professional leagues can be a more lucrative way to play. German, Italian and Spanish Premier Leagues are all available to bet on at Paddy Power, with handicaps on win, lose or draw outcomes. Higher scoring leagues like the German PL offer more unpredictable final goal outcomes on average, ideal for those looking to place a stake an Over the line goal handicap. Under the line betting can be particularly lucrative, and leagues with less total goals per average match are a great place to start. The French Premier League offers more incentives and better odds on successful goal lines, while live betting allows players to split their bet and effectively change their mind up until the last minute of play. What are the Asian Handicap betting odds at Paddy Power? Asian Handicap odds are generally drawn to make uneven match draws more even for punters. By and large, you’ll be betting on as close to a 50/50 outcome as you’ll get with football punts, but by betting on lower handicaps, you’ll secure more lucrative returns and profit on shorter odds – sometimes, as low as 1.80. Does Paddy Power provide Asian Handicap bets at Live Betting? Live Betting is one of the more flexible ways to win with Asian Handicaps. 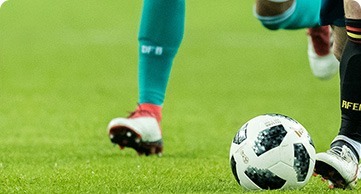 Unlike fixed odds that require you to guess the total goal outcome of a match, Live Betting (or ‘in-play betting’) lets you cash out early with partial winnings when you want to hedge your bets and get out while the going is good, but also lets the more adventurous pundit adjust their bet up until the final whistle at 90 minutes. This method of betting is incredibly popular, and perfect for more seasoned gamblers who want to make more of a profit per match. Live Betting at Paddy Power is offered on most Premier League and Championship games, with longer odds and higher returns available to pundits who are quick on the draw and betting based on in-play performance. In order to track down the latest Asian Handicap odds at Paddy Power, punters will need to select the right market from the filter options. At Paddy Power, punters can get a clear glimpse of odds on match outcomes, even after final adjustments. At Paddy Power, Handicaps are written in decimal form (1.0, 2.0, 3.0 etc.) and depending on whether they’ve awarded a detriment or advantage, each handicap will be given a plus or minus prefix. A typical handicap might look like something like this at Paddy Power: Arsenal (-2.0) with odds at 10/11. At Paddy Power and most online UK bookmakers, odds will be presented in traditional fractional form. In this case, a winning bet will require Arsenal to overcome the -2.0 goal handicap and win clear with a minimum of two goals. Odd are easily worked out – 11 / (10 + 11), or a 0.52% chance of winning. In European football betting, decimal odds are more common. 10/11 would instead be written as 1.90. American odds are different still, with UK odds of 10/11 written as -110. Are there any special rules for betting with Asian Handicap at Paddy Power? Offering some of the most flexible Asian Handicap betting online, it’s easy to make a profit from even a small wager at Paddy Power. Asian Handicap betting does away with the potential loss, or no-paying outcome of a draw, using handicap goals to ensure whatever the match outcome, a player can capitalize on a winning bet and walk away with a profit. Team A plays against Team B. A half goal Asian Handicap or as it is more commonly written – Asian Handicap 0.5 gives an advantage to the weaker team whilst the favourite is put in disadvantage. For example, we have the weaker Liverpool playing against the stronger Manchester United and the handicap for the fixture is set to be +0.5 / -0.5. That means that if the game ends in a draw 0-0, 1-1, 2-2 etc. then Liverpool would have won the stake at +0.5 with a half goal margin. The good thing about Asian Handicap is also that you can win even if your team loses the game – backing up Team A on +2.5 Handicap against Team B and the game ending with a score like 0-1 (2.5-1), 1-3 (3.5-3), 4-4 (6.5-4) will yield you a winning bet. The website is easy and pretty straightforward. They offer quite a lot of free bets. How would you rate Paddy Power?